Enjoy the famous Million Dollar Sunsets from every room at our Boutique Inn. The greater Petoskey area offers a great variety of activities for visitors of all ages. Enjoy endless outdoor activities throughout each of the four seasons, world-class shopping, area art and cultural events, and of course a rich local history that is yours to explore. No matter what your pleasure, the Bay Inn of Petoskey is sure to offer a convenient, welcoming location where you can take full advantage of the many, wonderful activities throughout the area. Just a short drive from Walloon Lake, Harbor Springs, Charlevoix and even Mackinaw, Bay Inn of Petoskey offers the perfect location for experiencing all that northern Michigan has to offer. 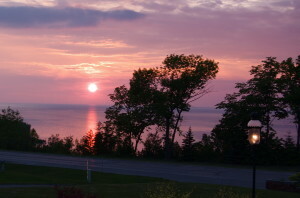 Below are a series of links to assist you in planning the perfect Petoskey vacation.